Superfoods get a lot of attention, but what about the average veggie? I’m here to shed some light on all the health benefits that some of the less fancy foods have. Here are 5 vegetables that are healthier than you think! 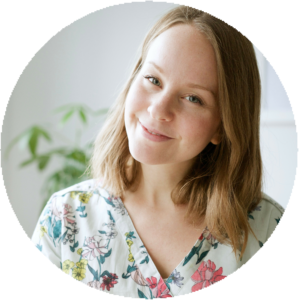 The other day I was thinking about vegetables – regular ol’ vegetables – and how overlooked they can get, especially in today’s world of super awesome, super healthy but also super expensive superfoods. Don’t get me wrong, I love my goji berries and wheatgrass, but I also love my lonely potato sitting next to the basket of onions at the local grocery store. They’ve got a lot to offer, too! Sweet potatoes are one of highest sources of beta carotene, a carotenoid that gives vegetables like sweet potatoes and carrots their rich orange colour. Just like carrots, they’re excellent for our skin, eyes and the tissue that lines our lungs. Sweet potatoes are also surprisingly good for our blood sugar as they are twice as high in fibre as regular white potatoes. Fibre helps balance our blood sugar by slowing down the digestion of sugars. Fat increases the absorption of beta carotene, so enjoy your sweet potatoes with a drizzle of olive oil or good quality, grass-fed butter. Broccoli is part of the cruciferous family. Thanks to the presence of the phytonutrient indole-3-carbinol, broccoli helps reduce bad estrogens and estrogen metabolites from our body by binding to them and helping to flush them out. Broccoli is also an anti-cancer veg: when chewed and digested, sulfer containing phytonutrients help detoxify carcinogens from liver enzymes. Forget dairy: greens are our best friend for bone health, and broccoli in particular is a great choice. Broccoli contains a great source of calcium, but is also accompanied by a good supply of vitamin C which conveniently enhances the absorption of calcium. When cutting broccoli, cut into small pieces. Studies show that when cell walls are broken down it helps activate an enzyme, called myrosinase, that slowly converts some nutrients into their active forms. Let chopped broccoli sit for 5-10 mins before eating or cooking, especially because heat will inactivate said magical enzyme. Beets are amazingly nutritious. 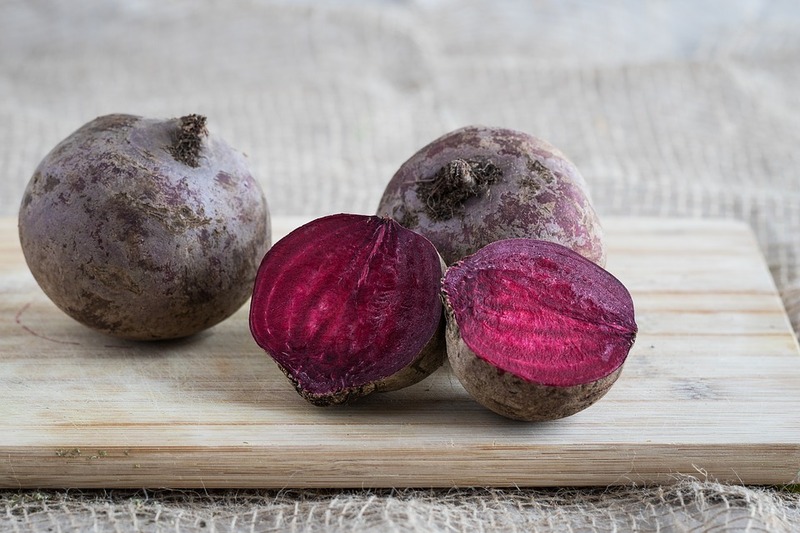 They contain phytonutrients called betalains, one in particular being betacyanin which gives beets their red pigment, providing us with powerful antioxidant protection. Antioxidants not only help neutralize free radicals, which wreak havoc on our cells, but also help prevent the oxidation of LDL cholesterol which can lead to atherosclerosis. Beets are also high in potassium, a heart-healthy mineral. They also naturally contain nitrates: Nitrates are converted into nitrites by bacteria in our mouth, which are then converted into nitric oxide (NO) by our stomach. Arteries relax and enlarge in the presence of NO, which is why beets are known for being great for lowering blood pressure, and cardiovascular health as a whole. Beets are a very liver loving vegetable – they stimulate our liver cells for healthy detoxification. Spinach and kale get a lot of love lately, but little ol’ romaine’s got a good repertoire also. It is the king of all lettuces! Who knew that 2 cups of romaine lettuce contains approximately 115mcg of vitamin K? This is good news, as vitamin K is very important for healthy bone mineralization. It’s also an excellent source of vitamin C, and vitamin C is anti-everything (in a good way): it’s an antioxidant, it’s anti-inflammatory, anti-histamine, and anti-bacterial. Romaine is also very rich in the mineral chromium which is very helpful for regulating blood sugar levels. Most people attribute bananas to being one of the best sources of potassium, and although it is, romaine lettuce is also a very excellent source! Potassium is a heart loving mineral. Red onions are pretty freakin’ awesome. They’re more nutritious than white onions, and regular consumption is shown to benefit our cardiovascular system big time: it can help reduce heart disease, blood pressure, and cholesterol. Sulfur containing phytonutrients also help with blood sugar regulation. Red onions are a good source of a flavonol called quercetin, also found in apples, which is very anti-inflammatory and particularly good for allergies. Onions are great for cold and flu season, so throw ’em in your soups and stews. I love red onions raw in my salad, and I’ll add them into an omelette when I make them occasionally. Like broccoli, let onion sit for 5-10 minutes after chopping.